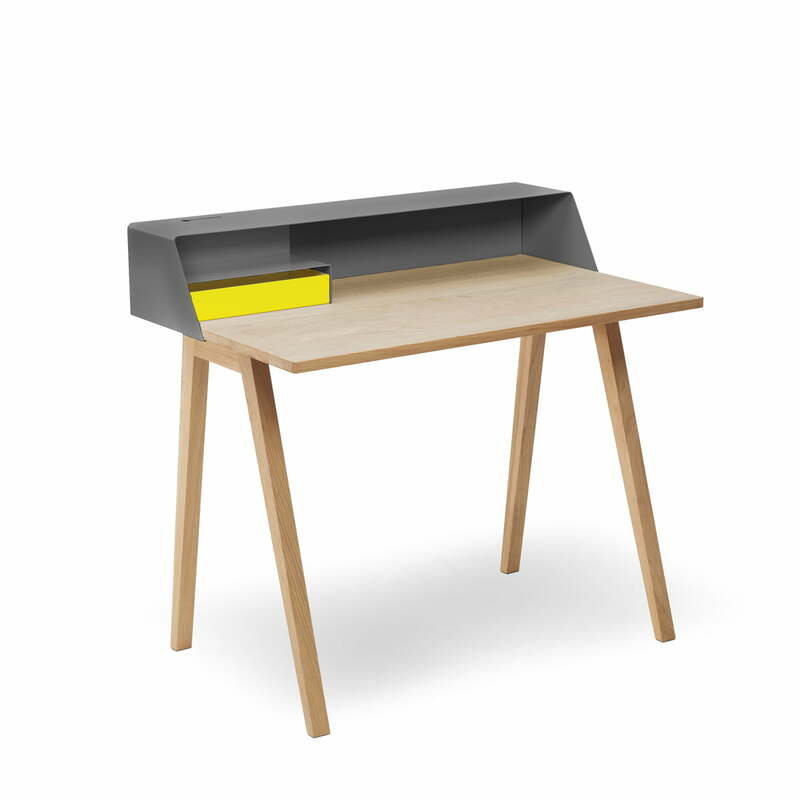 PS04 is a minimalist secretary desk by Müller Möbelfabrikation. 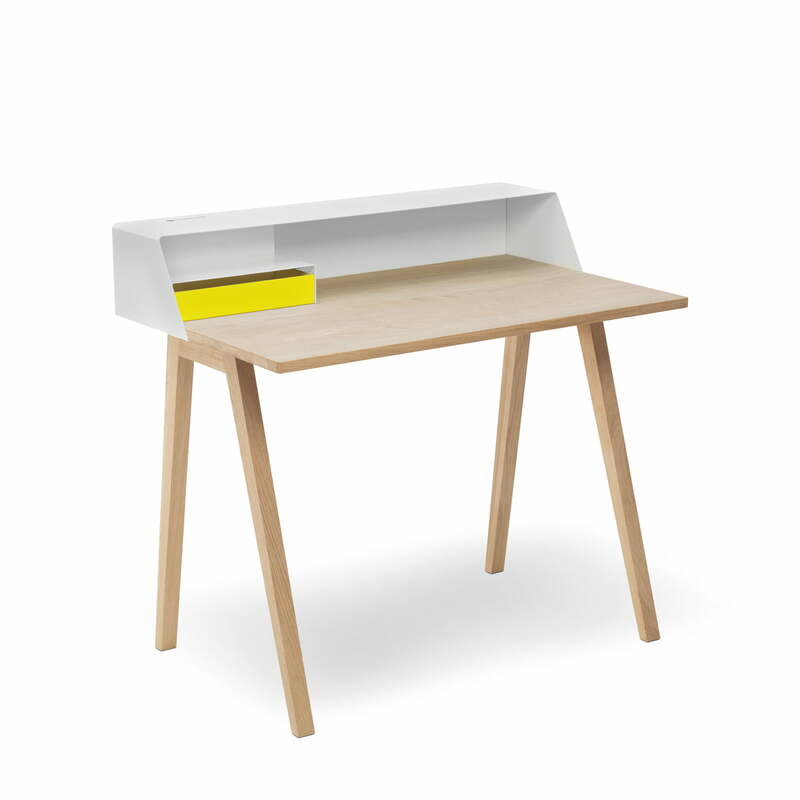 A practical and beautiful desk, ideally suitable for working at home. The elegant secretary has a special power box that ensures the power supply for tablets, laptops and telephones so that all devices can be constantly used. At the same time, the power box offers storage space for cables and charging devices. This way, the desktop remains organised and free of annoying distractions. The construction of metal and the desktop made of massive oak wood are the reasons why the PS04 is a successful mix of different materials that adapts effortlessly to different styles of interior design. The metal construction in different colours and the table frame made of wood or metal can be combined individually. The optional accessories, like drawer boxes in A4, make the secretary desk even more customised.